Henry Hudson's story is one of daring, determination, and discovery. 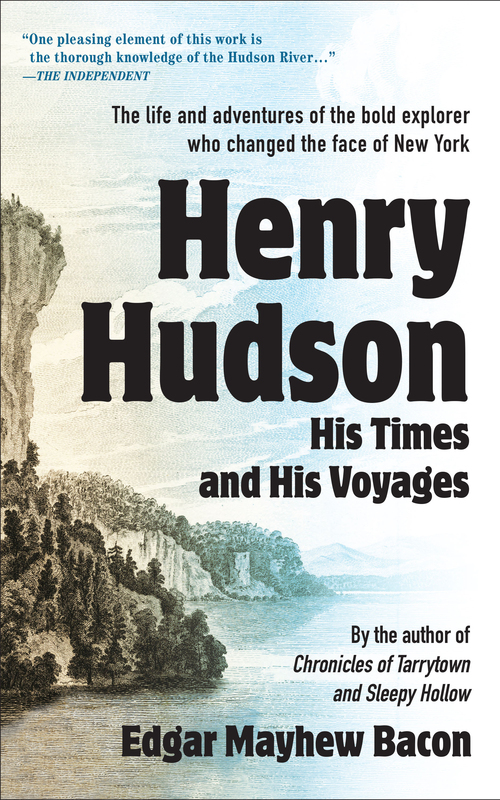 Henry Hudson: His Times and His Voyages is a dramatic narrative of nautical adventure. Edgar Mayhew Bacon takes us on all of Hudson's voyages, from the journeys that took him further north than any explorer before him, to the coasts of Iceland and Greenland, and the mighty Hudson River. It tells of early interactions with Native-Americans, both peaceful and hostile. Lastly, we follow Hudson on his final voyage that took him to Canada and Hudson Bay--where he met his tragic end. Edgar Mayhew Bacon was born a U.S. citizen in Nassau in 1855 and spent most of his life in the Tarrytown area. Before becoming a historian and writer, he worked in a bookstore in Albany. He married Anna Beard in 1903. He was a member of the Reformed Dutch Church of Tarrytown, American Historians Association, and the National Geographic Society. He died in 1935 and is buried at the Sleepy Hollow Cemetery in New York.